Get a lifetime subscription to the mindfulness meditation app. You have plenty of stress in your life. How much of it is caused by your phone? 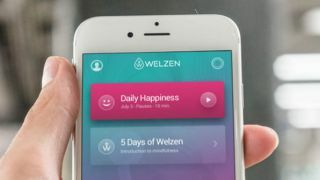 Forget all your notifications for a little while and let your phone get your mind right with Welzen, the ultimate meditation app. Get a lifetime subscription on sale now for 67% off. Welzen is the best way to get a little more zen in your life. This simple meditation app can help bring mindfulness to your day in a way that fits your modern lifestyle. No matter where you are, you can always open Welzen and get a personalised meditation experience that will help you relieve stress and anxiety while keeping you focused. You'll get new lessons every day that will help bring a little peace to your busy life. A lifetime subscription to Welzen usually costs $149.99, but you can get it on sale now for just $49 (approx £38). That's a saving of 67% off the retail price for an app that will make your days better, so grab this deal today!